The show will run for 12 new episodes and the cast includes several others from the original series. PASADENA, Calif. – Jack Bauer is back, and he’s on the run in London. Kiefer Sutherland returns as the intrepid counter-terrorist in a 12-episode run of “24: Live Another Day,” debuting with a two-hour show May 5 on Fox. It will take up its regular one-hour slot starting May 12. “I’m about as anxious and wound up as I’ve been in a long time,” Sutherland said Monday at the Television Critics Association winter meeting. He returns to a character he played for eight seasons, from 2001 to 2010. “There’s a great impetus for all of us to create something new with the show,” Sutherland said. The show will be set and shot in London and retain the real-time format with split screens and interwoven story lines. It picks up four years after the events of “24’s” final season, with Bauer now a fugitive being hunted by the CIA. Rajskub, who plays Chloe, said she closely followed Internet speculation about the series return and waited eagerly to find out whether she’d be included. 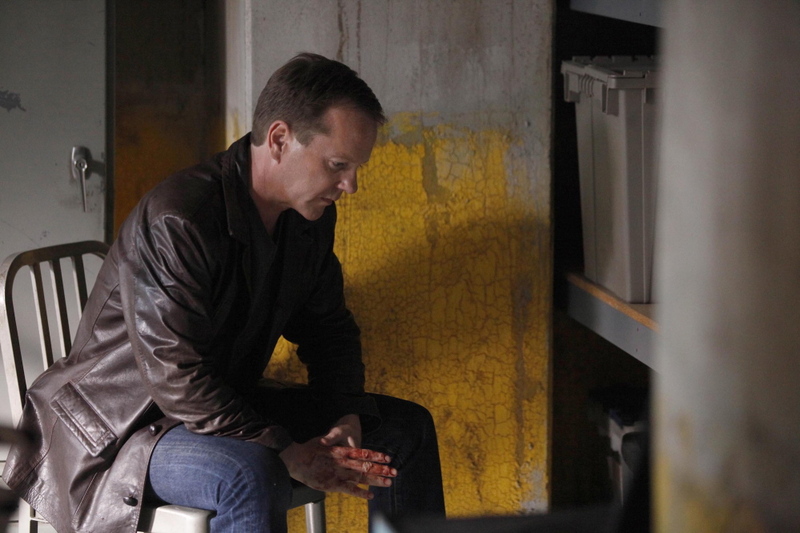 A potential “24” movie has been bandied about, too. “The film is sort of an ongoing situation,” he said.